Offers incredible value for money, whilst offering incredible strength and rigidity. The system is yet simple to build with all parts being tapped together by a rubber mallet. All components are joined via the heavy duty rivet and key hole slot which offers a simple and effective way to assemble the racking. 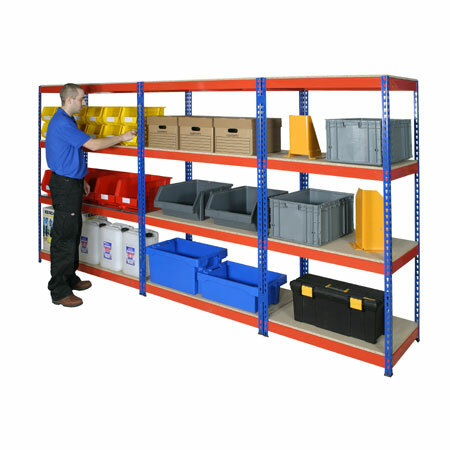 - Best selling system: Offers the widest choice of sizes, all at great value. - Guaranteed delivery in 5 days: There when you need it, without fail. - Large open bays: Store your large bulky items with ease. 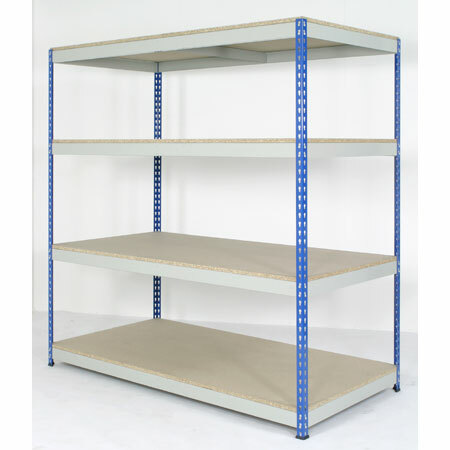 - Strong and sturdy: With shelf capacities up to 600kgs it easily copes with heavy goods. - Easy to build and reconfigure: Quickly get your storage problem solved, simply tap together with a rubber mallet. - No fixings - no fuss: No fiddly nuts, bolts or fixings - quick and easy.